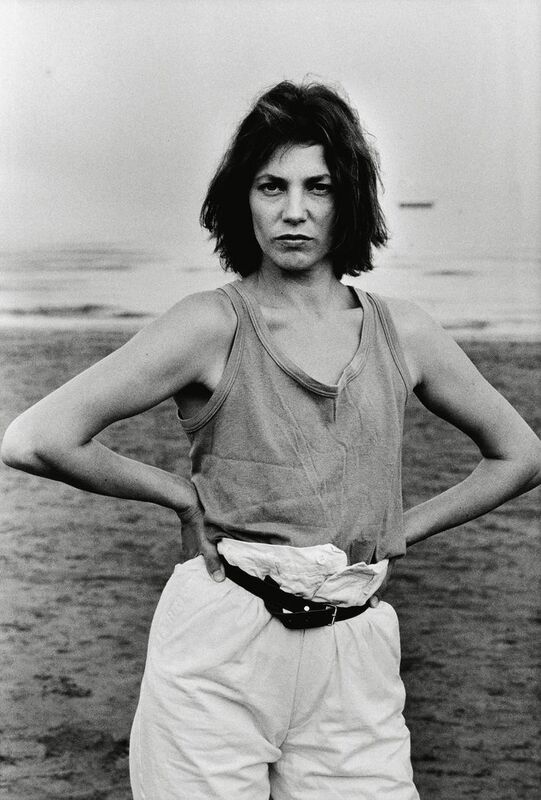 It’s a joy to contemplate the photography of June Newton, a.k.a. Alice Springs. 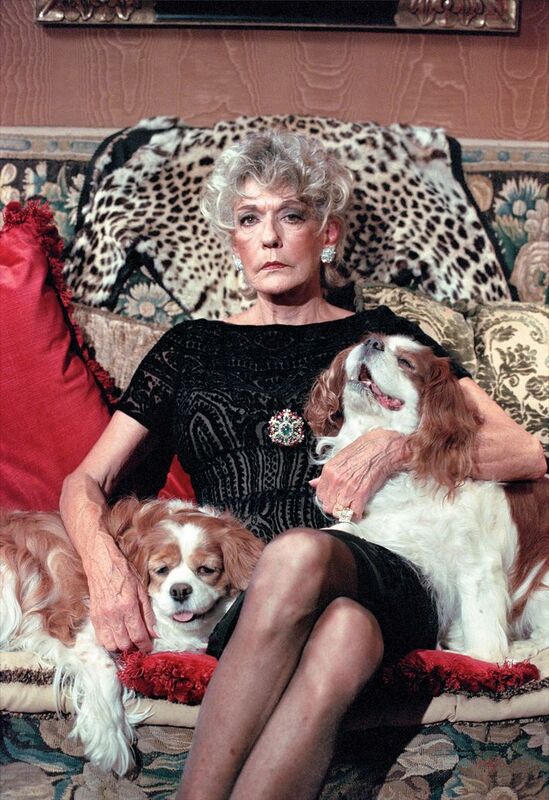 The Australian-born Springs is the 95-year-old widow of the provocative fashion photographer Helmut Newton, but that’s the least interesting thing about her. 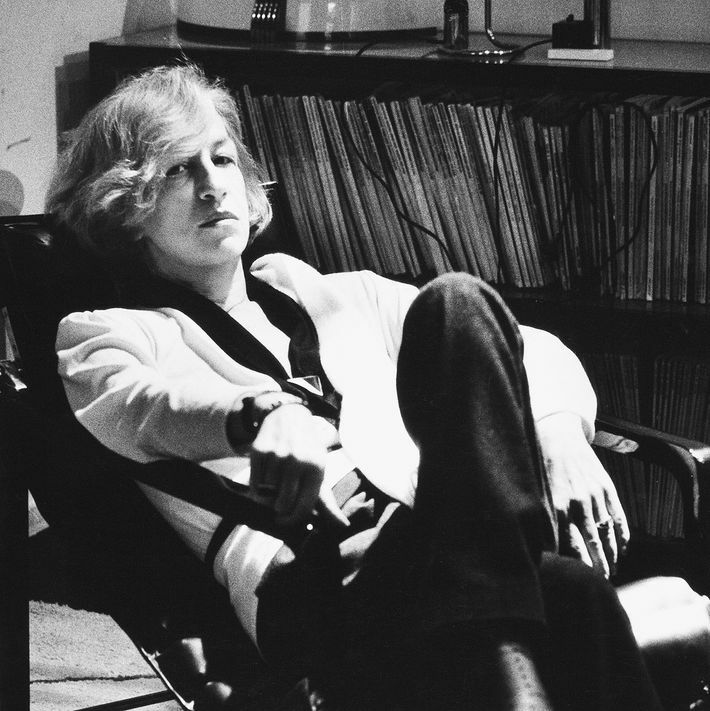 Under Springs’s gaze, world-famous actresses like Catherine Deneuve, Charlotte Rampling, and Audrey Hepburn look like people, not icons — conversational, intent, their eyes telegraphing depths beneath. Springs respects their beauty, but doesn’t accept it as a mask. 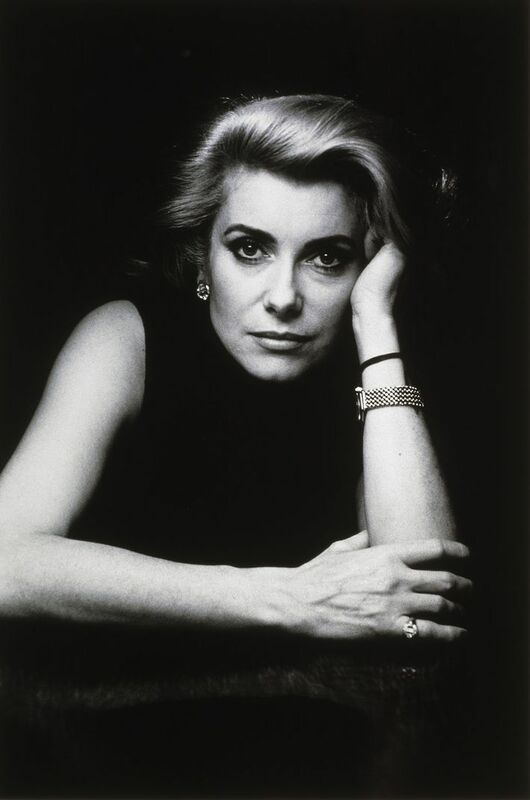 There are shadows beneath Deneuve’s perfect features; Hepburn looks gorgeous, but her age. Vivid personalities leap from Springs’s portraits, which depict not just her subjects but her dialogue with them. Early on, Springs decided to forgo studio portraits and photograph people on their own territory, peeling back the protective facades that prominent people — especially the famous and beautiful — often construct. “She quickly realized that photographing people in situ, their situ, was more revealing than bringing them into the studio,” says her longtime agent, Tiggy Maconochie. The resultant photos, while artful, convey a feeling of frank exchange. “[Alice] does not use any tricks,” her husband Helmut wrote. 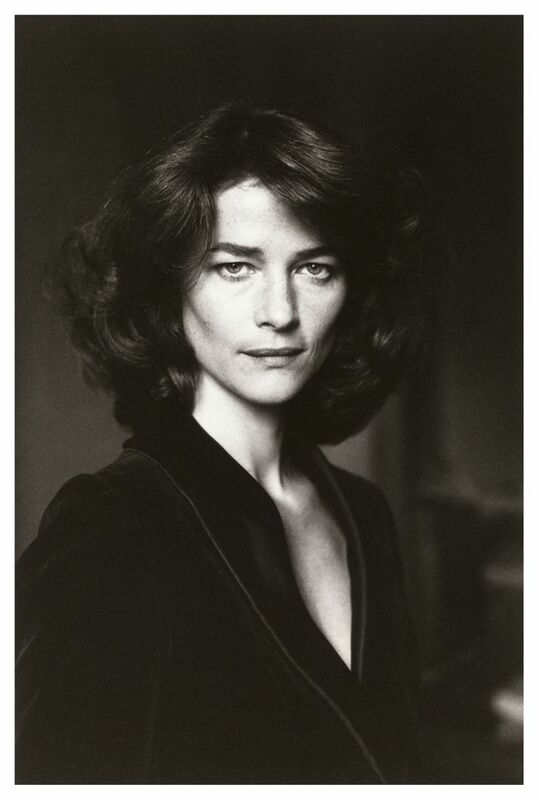 Springs’s earlier career as an actress in her native Australia surely informed her sensitivity to character and personality, but it was Helmut who introduced her to photography. The couple met in Melbourne in 1947, when Springs was 23, and were married a year later. She followed his career, first to London, then Paris for 20 years, and later Los Angeles and Monte Carlo, where she lives to this day. 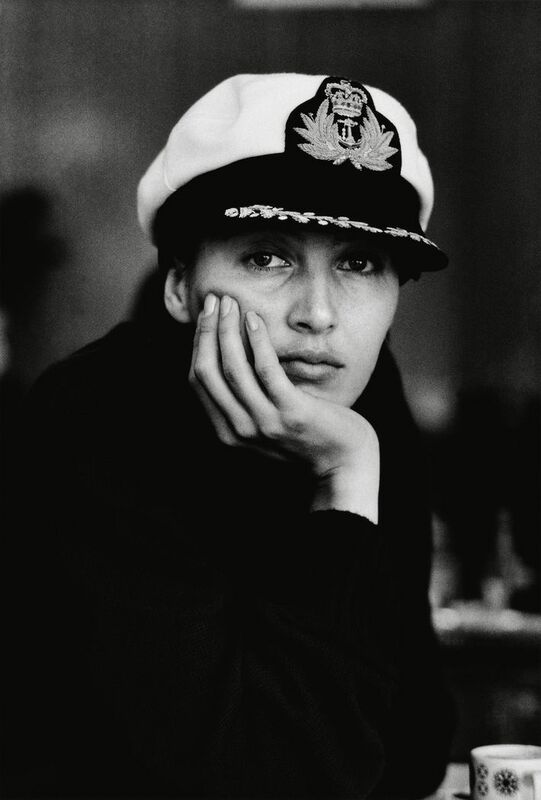 It was in Paris that Springs launched her own photographic career, on a day in 1970 when Helmut was too sick with the flu to shoot a Gitanes cigarette ad. Perhaps sensing an opportunity, Springs convinced him to let her go in his place — and after a quick tutorial in how to operate his camera and light meter, she went off. As it turned out, she was a natural. 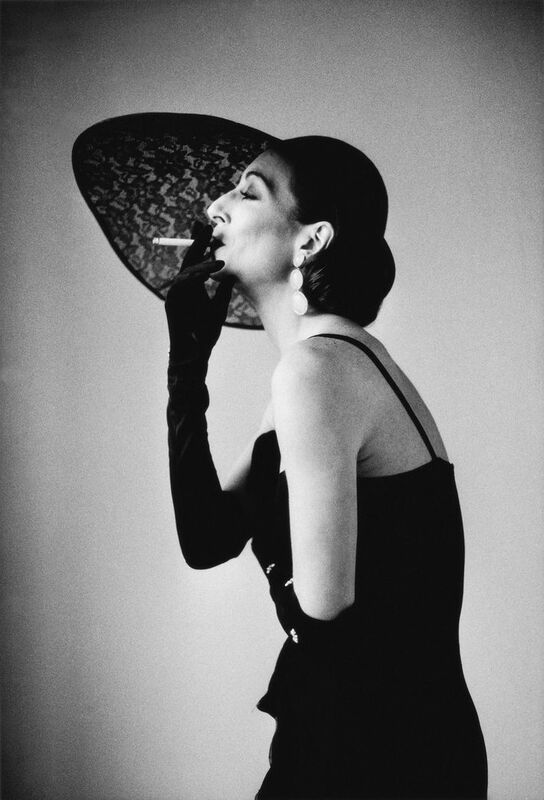 The photos Springs took that day, of a model smoking, launched her decades-long career in both commercial photography and portraiture. She adopted the professional pseudonym Alice Springs after a town in Australia (chosen by randomly sticking a pin into a map of her home country). 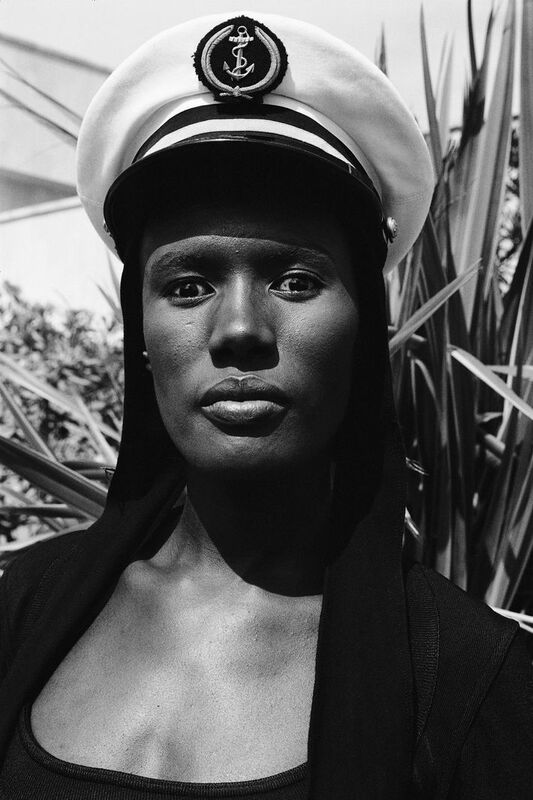 Grace Jones, Monte Carlo, 1987. 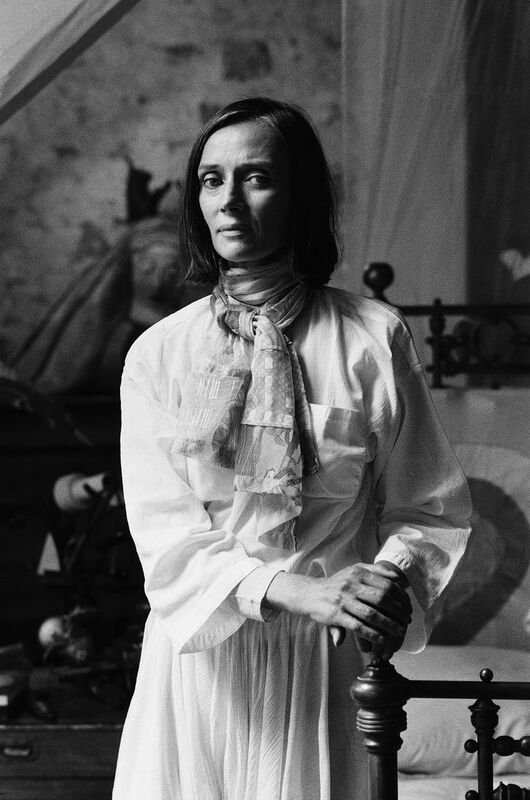 Throughout the ’70s, ’80s, and ’90s, Spring’s work documented the heady world she shared with Helmut: the upper reaches of European art, fashion, society, even royalty. Under her gaze, though, these iconic, powerful, and often gorgeous people look human and approachable. Springs captured the “shock” of the individual — that electric current you feel when you really connect with someone. And she invited us to share those connections. 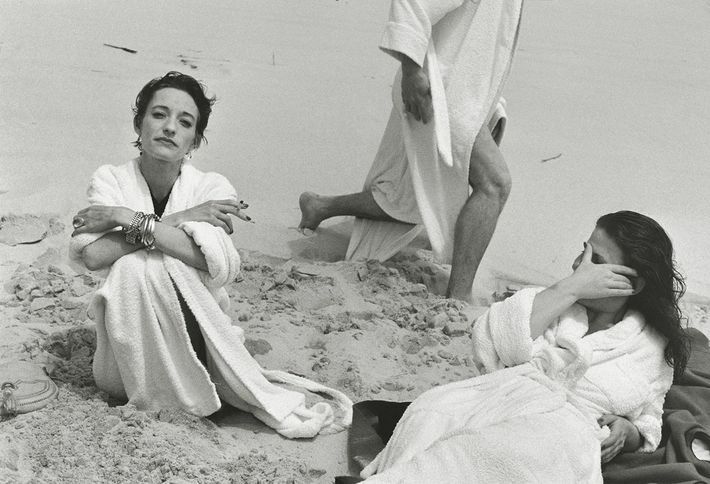 Look at her portrait of Yves Saint Laurent model and muse Loulou de la Falaise and Nicole Wisniak, publisher of the magazine Egoiste, both lounging on a beach in white robes. Loulou looks glamorous even in terrycloth, with stacked bangles, dark manicure, and cigarette. Nicole, hand covering her face (in keeping with her more “behind-the-scenes” profession), looks toward Loulou, and a third figure forms the triangle’s apex — the bottom half of a man wearing a similar beach robe. He strides toward Nicole, whose head moves toward Loulou, who gazes toward us. The circuit of energy moves through them, then out, inviting us to sit down in the sand. 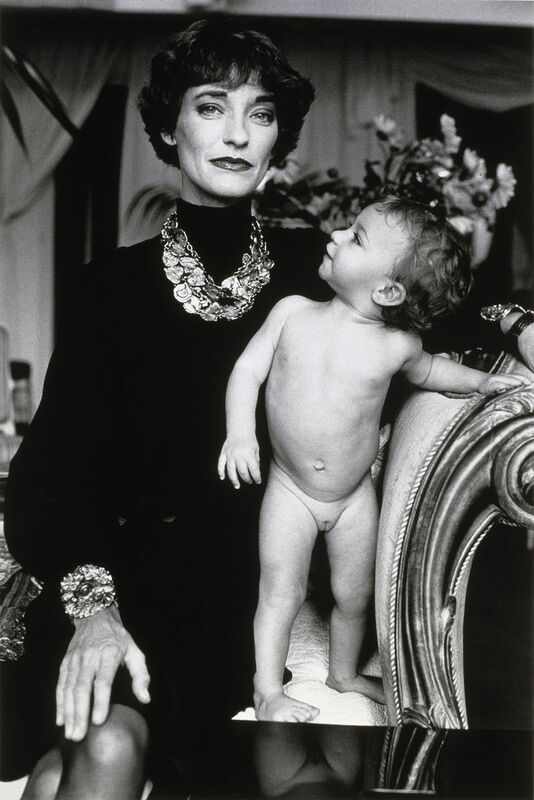 Loulou de la Falaise and Nicole Wisniak. 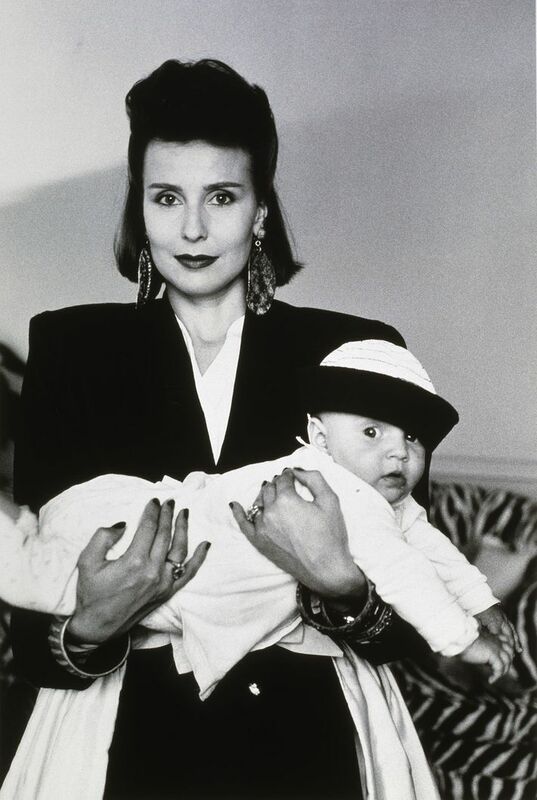 Such a pattern occurs also in Springs’s portrait of the designer Kenzo, leaning lovingly toward his look-alike mother who gazes outward with similar warmth — affection streaming from son to mother, through Springs, to us. 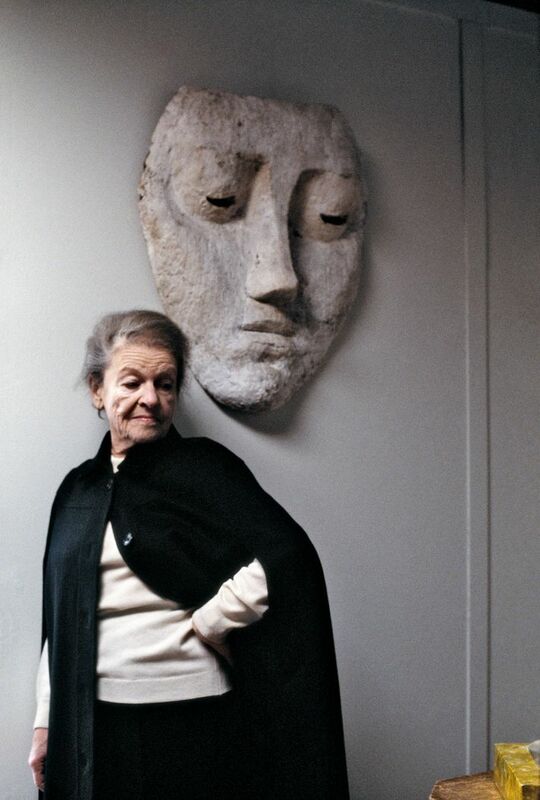 We see an oddly similar dynamic with artist Anna Mahler, who mirrors the downward gaze of her own sculpture (a giant face) which hangs above her. Springs was especially sensitive to artists’ hands. Bella Freud stands resolute, hands clasped on hips with an odd intensity that punctuates her defiance. Betty Jackson holds a cane in one hand, while the other makes a fist–balancing fragility with strength. 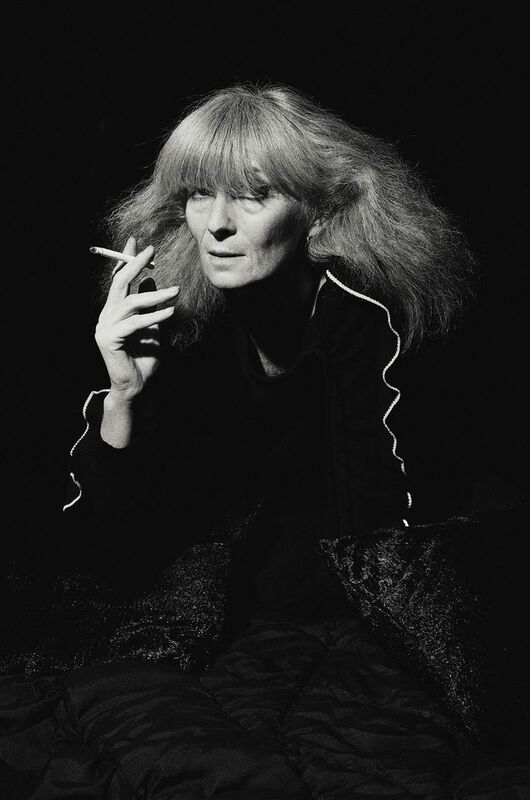 Sonia Rykiel’s graceful fingers cast shadows echoing the sculptural planes of her cheekbones. 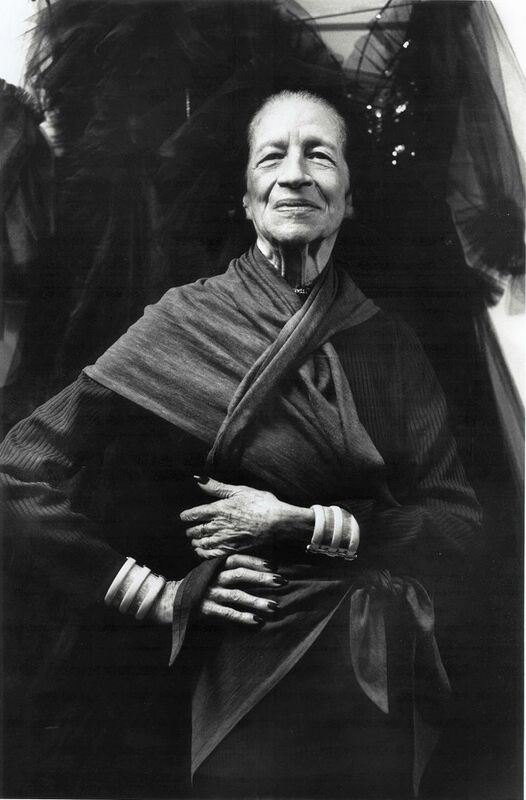 Diana Vreeland’sfascinating hands wrap around the complicated wrap she’s wearing. 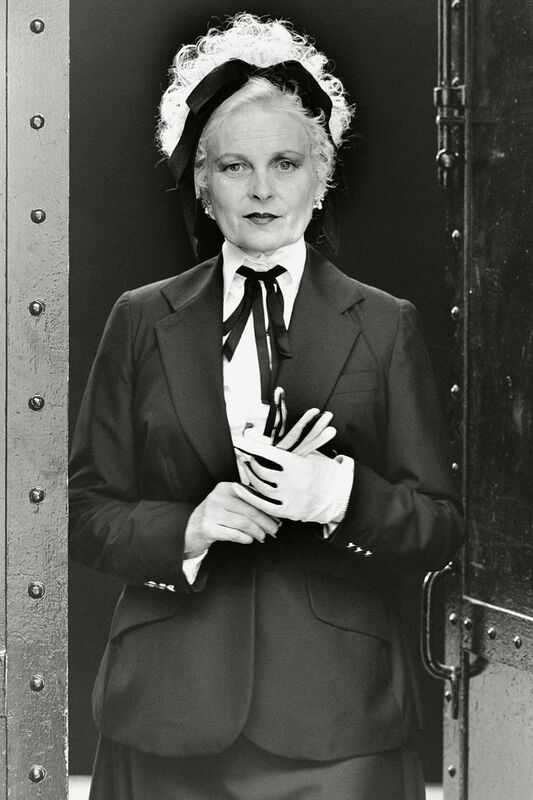 And a regal Vivienne Westwood has one black-and-white glove on, and clasps its mate upward, as if holding a third, ghostly hand. 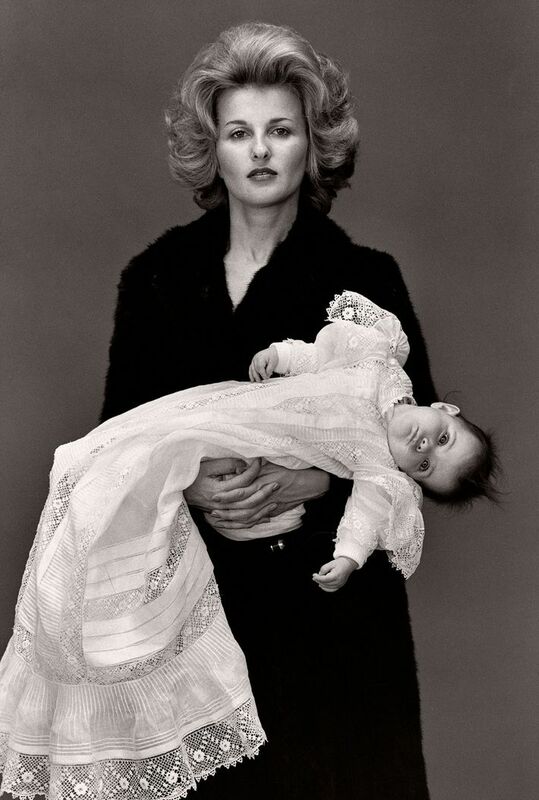 Most startling are Spring’s unsentimental portraits of mothers and children, which upend expectations by refusing any trace of a beatified Madonna-and-Child motif. These women and children are fully separate, distinct beings. 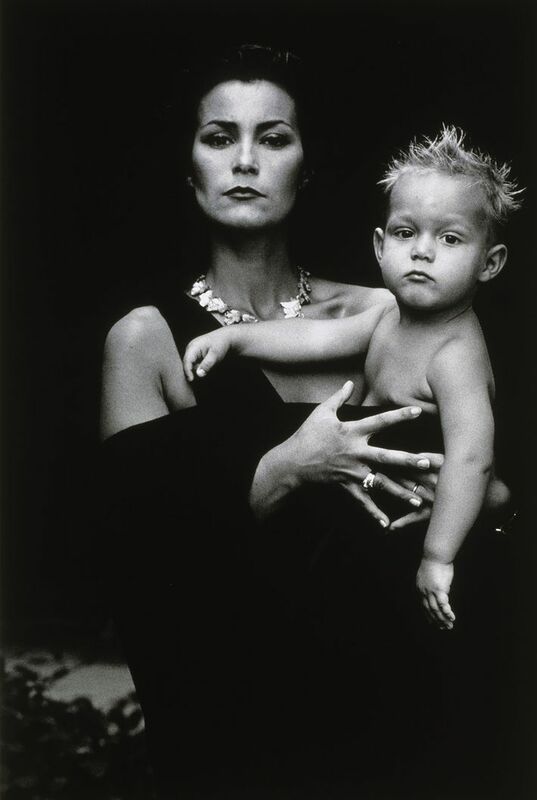 Model and actress Brigitte Nielsen, in glamazon, not maternal mode, stares impassively, peculiarly hoisting her limp, sleeping infant to shoulder-height. Princess Caroline’s toddler son twists away from her as she stares straight ahead. 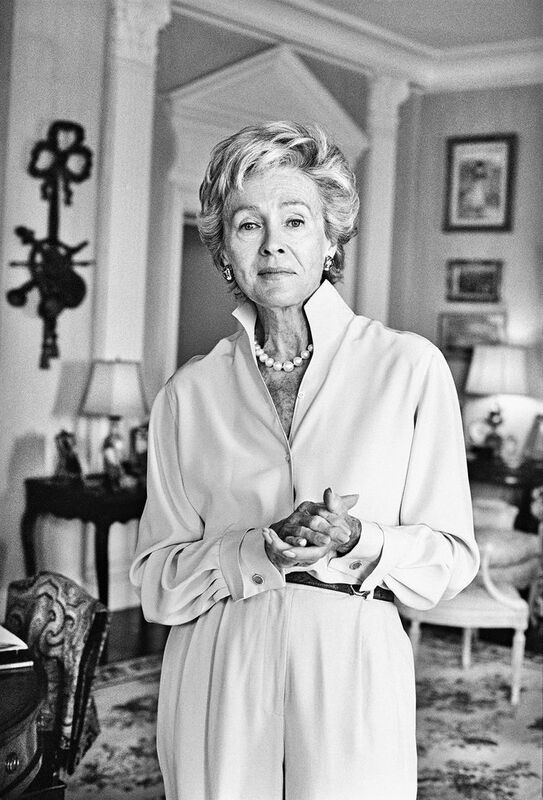 Some portraits are quite witty: Margot Werts, owner of the trend-setting L.A. boutique American Rag, holds her baby who looks like a miniature drunken sailor, cap askew. 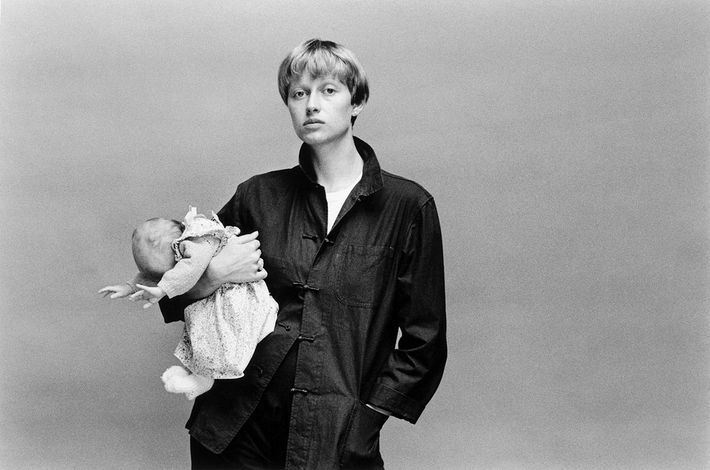 Artist Mirène Le Floch’s infant might be performing a modern dance contraction. And Tiziana Zenecla’s tiny son resembles a Hollywood gangster — with spiked hair and tough-guy stare. Brigitte Nielsen, Beverly Hills, 1990. 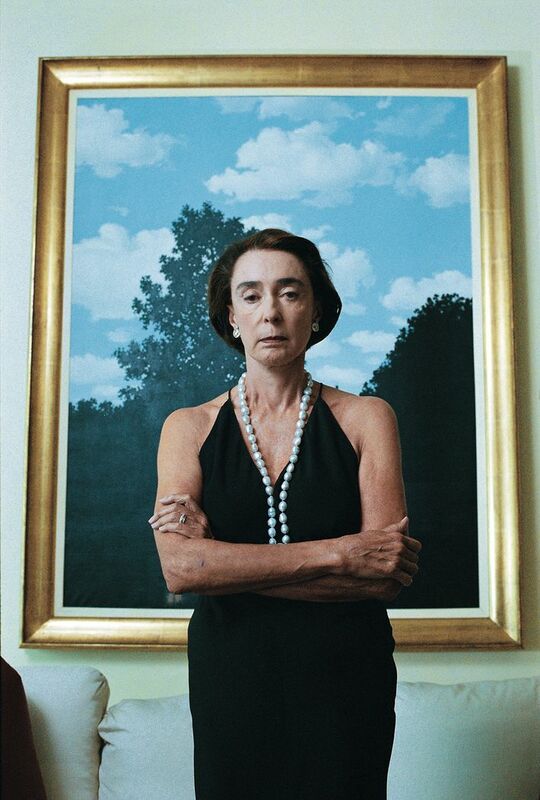 A similar wit runs through Spring’s socialite portraits — Mica Ertegun merges into the painting behind her, to odd Surrealist effect. Judy Peabody holds up her pampered brown dachshunds breast-high, before a painting that depicts … a brown hunting dog. Springs never sought the limelight, content to let her husband be the famous half of their couple. But right now seems like a perfect time to shine new light on her work. 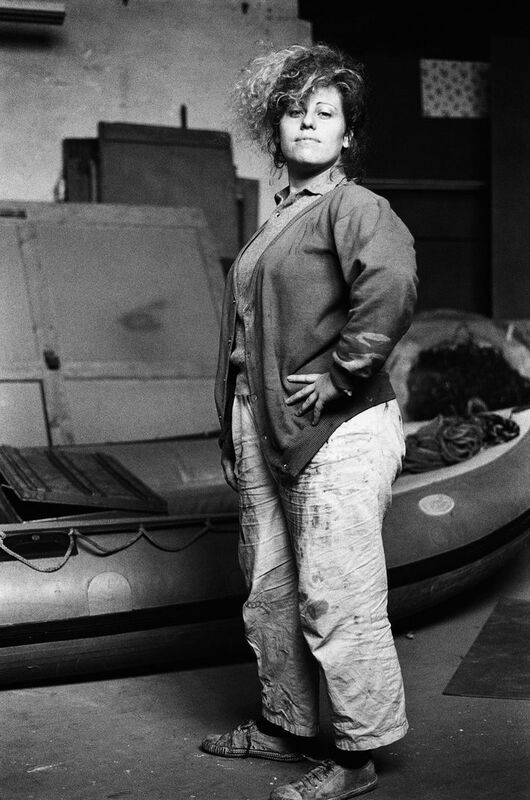 With a wave of American women flooding into the political arena at all levels, Hilma af Klint at the Guggenheim, and a Frida Kahlo exhibit opening at the Brooklyn Museum, we seem surrounded lately with striking examples of women’s talents and power. What better way to keep up this momentum than by drawing inspiration from Springs’s humane and insightful portraits of these complex, gifted, and grown-up women. 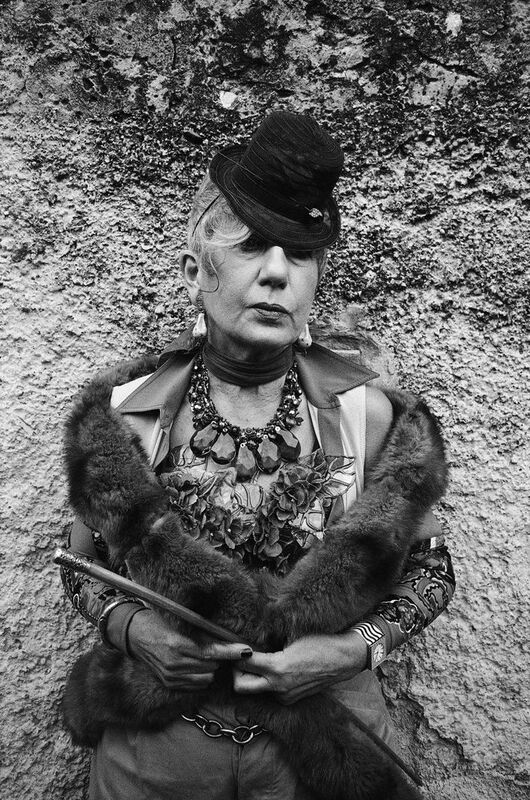 Anna Piaggi, La Gorra, 1996. 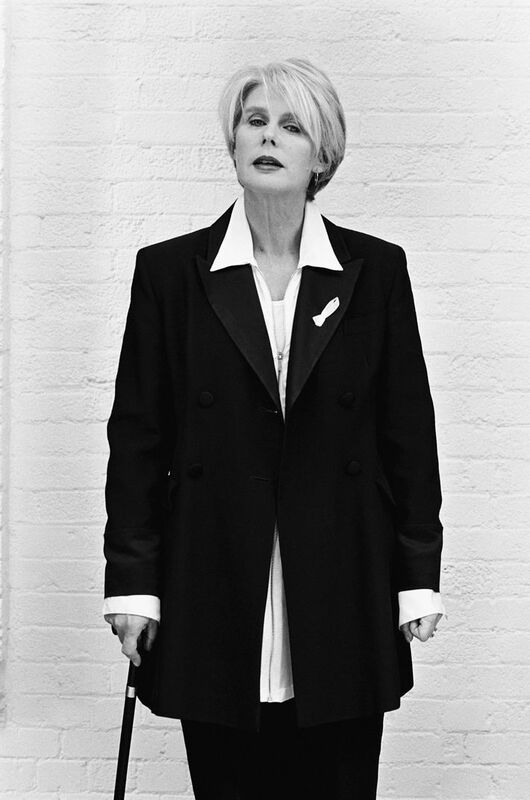 Mica Ertegun, New York, 1999. 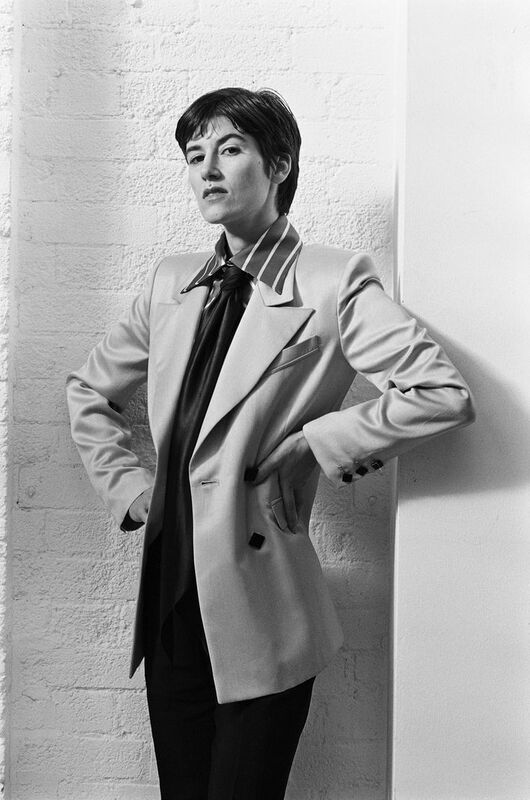 Margot Werts, San Francisco, 1985. SAS Caroline de Monaco and Andréa, 1985. 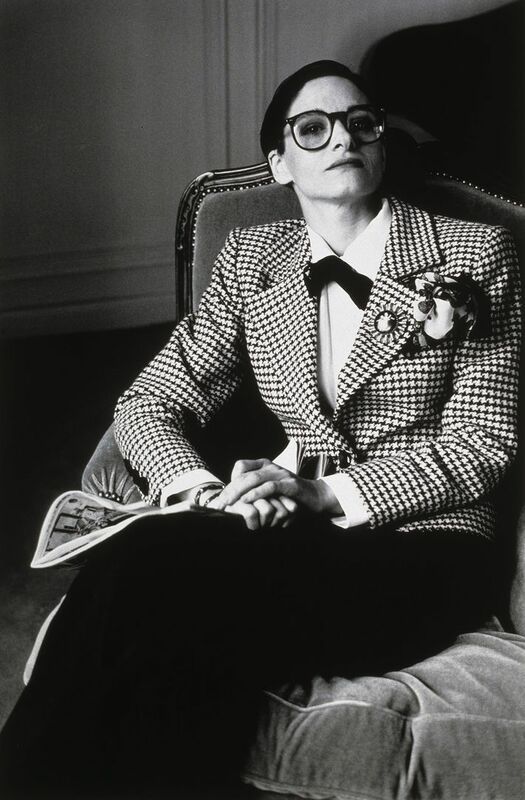 Loulou de la Falaise, Paris, 1986. 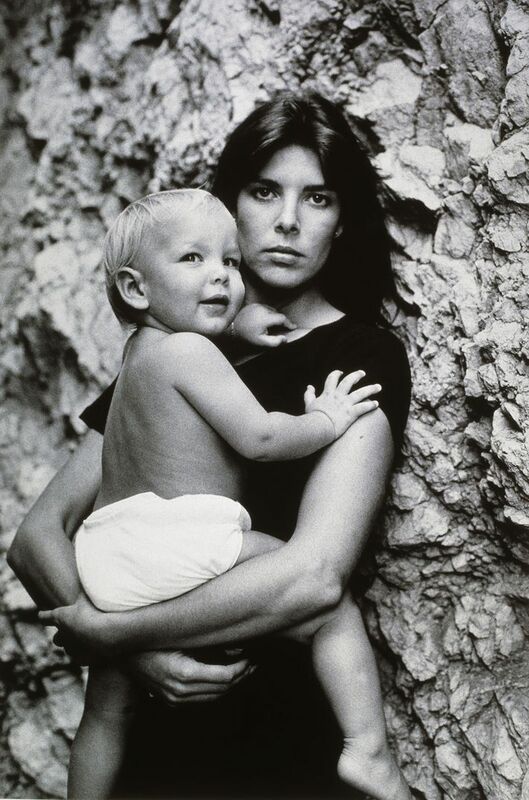 Marianne Williamson and Baby, Beverly Hills, 1991. 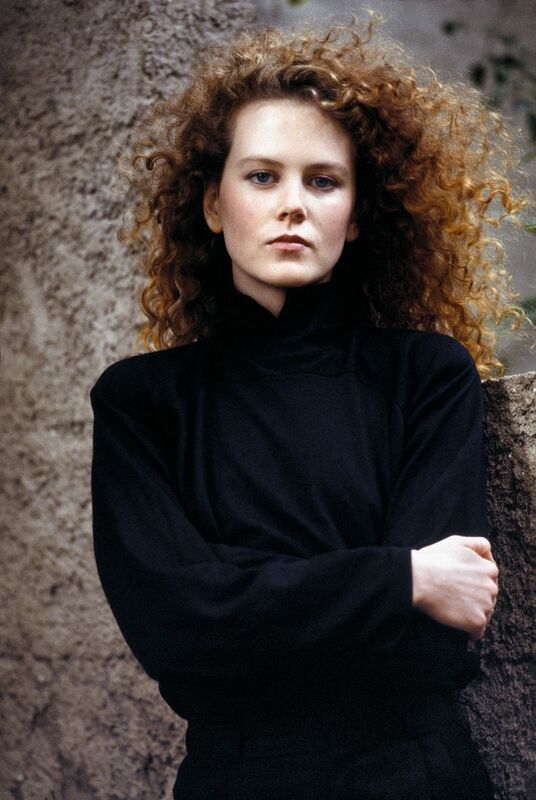 Anna Mahler, Los Angeles, 1986. Mirène Le Floch and Iris, Paris, 1976.